Arriving into Bournemouth, it wasn't easily recognisable as the town hosting the annual PFEW conference. The sun was shining (albeit temporarily) but the usual sight of large groups dressed in sober suits - identifiable as a collective by their identical lanyards - walking through the town en route to hear news of upcoming police matters was somewhat lacking. Conference 2017 is going to be a scaled down and re-shaped affair but this year's event already had a different atmosphere and certainly attendance appeared to be down. From the outset it had the feeling of an organisation that was punch drunk and fearing even more retribution from the Home Secretary and the media alike. The media portrayal of policing errors was being spoken of in hushed tones in dim corners of the International Centre, delegates ever fearful of the walls having ears. That aside, the agenda had some particular highlights for us, especially around officer wellbeing, mental health and the wider welfare agenda. Perhaps not the most popular for many delegates but the opening sessionwas an interesting one for us, particularly with what's happening in Scotland currently. Discussions focussed on democratic changes and accountability, and the impact on operational effectiveness. Sir Paul Silk, who chaired Devolution Commission for Wales, told the audience how the Commission had been struck first by the close relationships between policing and the already-devolved services such as fire, health and housing. Furthermore, the fundamental logic was that the Welsh Government was closer to, and therefore better understood local policing needs, than a Government in London. The message that devolution is 'coming to a town near you' came through loud and clear, as did the lessons for England to learn. Sir Paul spoke about process; devolution in Wales was based on a clearly articulated set of principles. His observation was that in England, devolution appears to be piecemeal and not principle based, which could limit its successes. He spoke of the ned to involve stakeholders fully in designing devolution and importantly reiterated the need for it to enhance the responsiveness of the police to the policing needs of communities - it can't just be about cost saving or administrative 'tidiness'. Clearly the situation in Wales wasn't perfect and there were inevitable difficulties around who was responsible for what. That said, the concept of 'difference' is now normal in Wales (as it is in Scotland and Northern Ireland). Localised direction and localised policy making are accepted as the way in which matters are dealt with. Decisions are best taken at a localised level; it's not about constitutional theory or lines on a map. You have roots and affinities with where you are and where you work. This was a really interesting point for us in terms of our own policing issues in Scotland. Is the infrastructure proposal (effectively merging BTP, Civil Nuclear and MOD Police) aimed at plugging national gaps created by a more localised policing agenda? Given that PCCs are focussed firmly on the policing needs of their local area, is there a reluctance to commit local resources to assist with national policing commitments such as terrorism? We also have to wonder whether the public in England has an appetite for the cultural change that comes with devolution, along with the more localised agenda (and therefore responsibility for what is delivered locally). There has been a lot of information circulated and articles written about the way officers are dealt with - especially in respect of driving issues. What we took from this session delivered by Barrister, Mark Aldred, was that the playing field for officers really isn't a level one. Mark spoke of the risks involved in pursuits and the potential for 'driver error'. The special skills and training of police drivers are irrelevant and must be disregarded in deciding whether the driving was dangerous. For us this poses issues for armed officers. From the discussions we took the point that officers should always see themselves as suspects until they know otherwise, as witnesses they leave themselves open to unguarded submissions. Members should air on the side of caution, make contact with a federation representative and we will look to support members whether it be through trained representatives or through formal legal assistance. And then of course there were the three 'headliners': the Home Secretary Theresa May, the Shadow Home Secretary Andy Burnham, and Her Majesty's Chief Inspector of Constabulary, Sir Tom Winsor. The Chairman of PFEW, Steve White began his address by expressing a desire to move away from the 'gladiatorial' approach seen at previous conferences. He said he accepted the need for change and that the organisation would work with any Government, seeking agreement where possible, accepting that things won't always work perfectly. Reflecting on the previous year in policing there was both a recognition of Hillsborough and a moving tribute to fallen Merseyside officer David Phillips. Steve White spoke about the need for greater sentences to be passed in the case of assaults against police officers and called for an increase in armed policing capability especially around Taser "Taser protects the public, it protects the police and indeed it protects offenders". He also called for questions to be raised around the pluralisation of policing and for care to be taken with the expansion in volunteers explaining that serving officers are sworn professionals and while PFEW recognises the great work of volunteers, this has to be sorted on the basis of knowledge and experience. Lastly he spoke of the pay review body claim levelled at 2.8%being "not an exorbitant amount but an acknowledgement of austerity while looking at fairness and parity". It's fair to say many of us in the auditorium didn't know quite what to make of the Home Secretary's response. Moments of praise were tempered with (occasionally aggressive) criticism. "Damned if you do, damned if you don't" appeared to be something of a theme. Ms May believes the previous six years of reform has seen policing change for the better and improvements have been made. Progress has been made with the Federation and modernisation aimed at the greater public good has been achieved. There were a number of digs at federation expenses and how member subscriptions are used; the Home Secretary described a 'self-serving culture' and explained how expenditure of all Federations has to be looked at and agreed by the Executive. If we had been lulled into a false sense of security with early praise, this was the first of many punches. The lessons to be learned from Hillsborough were, understandably, amongst them. How does the service progress when the Government clearly has no faith in policing? We listened to worthless acknowledgement of any policing, no acknowledgement of government withdrawal of support for vulnerable people, little investment in hostels and victim support. It was a shameful address without any acceptance of any joint failure. Victims of abuse and domestic violence were the main focus of the Home Secretary's speech. No-one can doubt victims have been failed in the past. Encouragingly Ms May agreed improvements have been made but warned more needed to be done. The overriding question in our minds was that of how policing manages to deal with all that is expected from it.The expansion required to manage all expectations of investigations will only come with a huge investment of resources. Who will pay for the additional resources and training? Investment in skills and knowledge does not come cheap, career pathways have to be genuine for non-sworn officers to provide specialist knowledge to policing, a place has to be set aside for the skills gap these people can fill but they have to feel it is an organisation worth committing to and not undertaking a specialist role on a shoe string budget! Hillsborough naturally came to the fore during the address by Andy Burnham MP, the Shadow Home Secretary. Speaking of police culture and leadership he said there was no doubt the Hillsborough families' 27-year fight for justice had shaken the faith of many in policing. He drew a distinction between then and now but said the old cultures of defending the force right or wrong has to change for the future. Rank and file are the losers behind senior leaders because we are all tarred with the same brush. 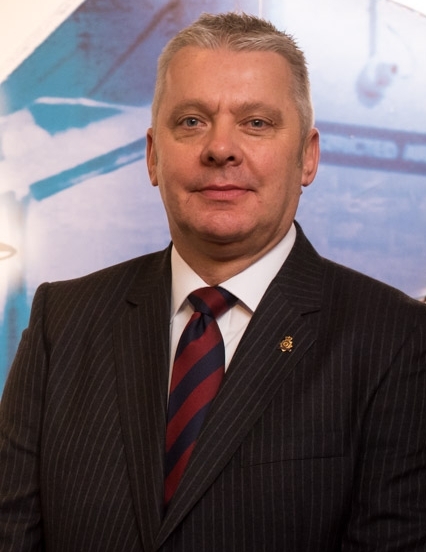 Responding to comments made by both Steve White, Chair of PFEW and the Home Secretary, Mr Burham described precept payments as a Government failure, stated that cuts cannot continue ("you can't cut the organisation that still has the lights on when all other stakeholders have gone home") and said that volunteer issues needed to be addressed so as to avoid having a 'Dad's Army' of retired people delivering policing. He said that Taser use, and understandingaround the expansion of its use, will be considered by the labour government. He also said he believes in accountability around public service and there should be no time limits on any punitive sanctions; equality should be across the board. Sir Tom had been invited to speak about the HMIC all force inspection programme but began his keynote speech by praising officers up and down the country, really quite passionately and emotionally. Having just passed the halfway mark of his term of office he shared the "enormous respect and admiration" he has for rank and file police officers and the work they do every day.He said this had intensified as he has led HMIC in its work,and described the 'can do' culture "which impels police officers to get the work done despite the obstacles and frustrations thrown in their way by mismanagement by senior ranks, financial limitations and the failure (sometimes chronic and persistent failings) by other services who know the police will never say no". His voice caught as he remarked on the personal bravery of officers who every day "go out and face dangers that they can barely anticipate" and described attending the funeral of PC Dave Phillips as the "most moving and sadly emotional experience of my life". He told the room that every police officer faces the risk took by PC Phillips and that everyone involved in policing needs to keep that front and centre of their minds as policy is developed and judgments are made. While this softer and more thoughtful delivery won't change many minds, Sir Tom's comments appeared to be well received. Returning to the PEEL Programme, Sir Tom described the programme as an approach to public interest inspection of the police which seeks to improve efficiency and effectiveness by removing obstacles and frustrations which officers encounter every day. This is the most radical change and enlargement of HMICs work in its history and measures every force against three key indicators: efficiency; effectiveness; legitimacy (how it treats people). Policing needs a sound understanding of nature and volume of the demand it faces today and in years to come, the resources/income available and the assets it has/will have in order to meet future demand. Policing is complex. Sir Tom conceded that measuring future demand is hard to do and the 'assets' of the police are complex because they are people. Forces do know a lot of this already but none knows it to the necessary standard. Many measures focus on crime, rather than the non-crime demand. We must focus on the condition, capacity and capability of our 'assets', our people. "Without the police, the economy and society would collapse" Sir Tom Winsor concluded.So true, but sadly seemingly hated by many in the Westminster bubble. Police Mutual about the potential for them to sponsor our conference and Awards of Excellent next year. We will meet with them over the summer to progress this. Copperpot Credit Union to see what they may be able to offer you in terms of easy saving options and future loans. Philip Williams and Co to review our current group insurance scheme and make comparisons with our current provider. Sports Art, which works with various forces to provide an alternative Job Related Fitness Test for disabled and injured officers. In light of the wellbeing focus at conference this was an important aspect for us to review. Voice Mobile, about potentially sponsoring our website (thereby helping to make it cost neutral) and to learn more about the special tariff offers they can provide for you. Finishing on a personal note, we were impressed with the focus on officer wellbeing and the push to give that greater emphasis. More importantly we were heartened by the drive to remove many of the stigmas around officers coming forward if they're finding things difficult, and making sure they do not see it being a sign of weakness. Many of the delegates, us included felt the conference had moved away from being an interactive conference for the members and more of a front-loaded seminar. The topics discussed were very relevant but greater input has to come from the floor of conference in order to understand the thoughts of the late turn van driver at Hackney and how they are impacted by all of this. They are the people delivering the public focus, they will enhance police legitimacy, and they will be centre stage for police reform! This is certainly something we will keep in mind as we plan for our next conference.